After months of speculation, it appears Google has let the cat is out of the bag. After successful releases of the Pixel and Pixel 2 through an in-house OEM, electronics industry giant Foxconn will handle manufacturing operations for the Pixel 3 and Pixel 3 XL. Foxconn is the Taiwanese group behind Apple’s iPhone, marking a huge shift for Google’s Pixel series. This also marks the first time that all the specs and designs will be handled internally by Google. Apparently Google has been shopping around for sometime for a new manufacturer for their line of smartphones. As a result, Foxconn sees yet another huge bump to their infrastructure. The Pixel 3 will not feature many aggressive design changes. However, the Pixel 3 XL will now feature an edge-to-edge screen. In line with the iPhone development, it will also now feature a notch. A “notch” is the cutout at the top of the screen that allows room for a camera, microphone, etc. Many complaints around the iPhone X revolve around how the notch gets in the way. However, Google appears ready to embrace it as part of their new technology. The new design is receiving mostly positive review on social media. It was noted that embracing the notch appeared inevitable by Google, especially since Android P (their new operating system) has brought better support for it. 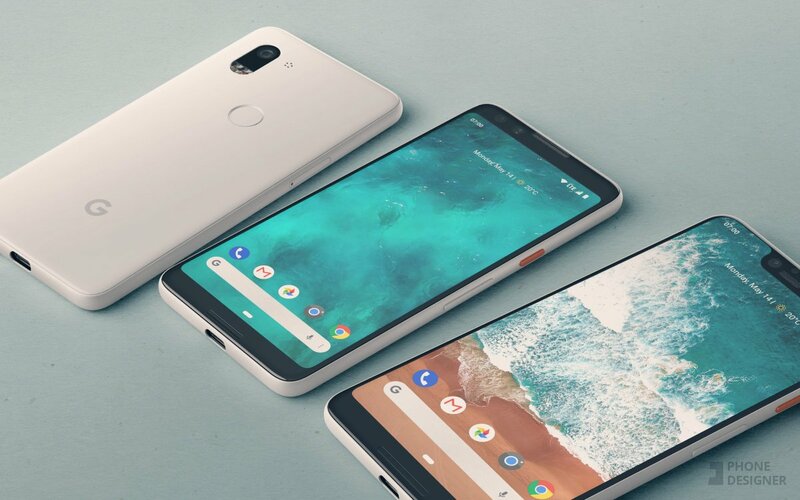 The Pixel 3 XL has promised to have dual front camera lenses, optimizing photo and video output. It also appears that Verizon Wireless will maintain exclusive right on contract services in the United States. Companies HTC and LG handled previous contracts for the Pixel and Pixel 2. Google poached some of HTC’s smartphone team back in September 2017. Anticipated release dates put the Pixel 3 and Pixel 3 XL out to consumers by October 2018. You can keep up with the latest Pixel 3 updates right here.